Another collision prevention system has been put to test by TRW at Hockenheim race track. The steering and suspension manufacturer teamed up with the University of Dortmund, Germany, to develop a system to aid drivers in emergency situations called Emergency Steering Assist (ESA). 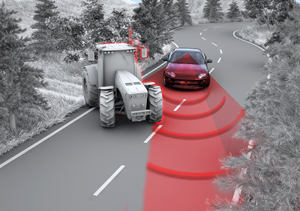 Using video cameras and radar sensors, the ESA can capture a real time image of the road ahead, where it transmits the data it captures to the management system linked to the electric power steering module. The driver assisted aid works by applying additional steering torque during an evasive move, helping the driver with the lateral movement of the vehicle. Dr Carsten Hass, Engineering Manager od Integrated Active and Passive Safety Systems at TRW, said that the ESA is designed to enhance the driver response by helping the driver react faster and more accurately.